Octopuses appear to use tools. 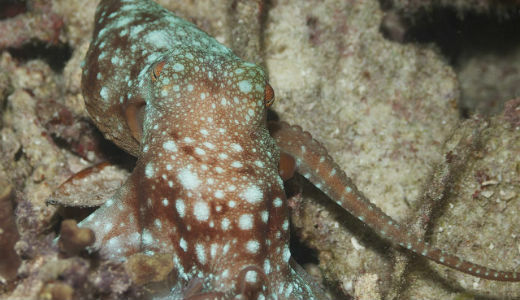 Researchers have suggested that veined octopuses in Australia were using halved coconut shells as tools, by scooping them from the seabed, carrying with them and later using them as a shelter when needed. You can watch them do this in the video below. This would be the first reported case of tool use by an invertebrate animal. Some researchers however debate whether this kind of behaviour fits the definition for tool use. Whether or not it is agreed to be tool use it is certainly fascinating behaviour.